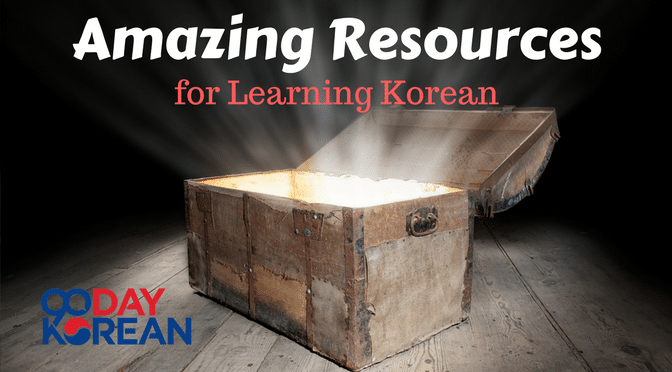 Use these sites to help you learn the 24 character Korean Alphabet (Hangul) for proper pronunciation. You should be able to learn Hangul in about one hour. 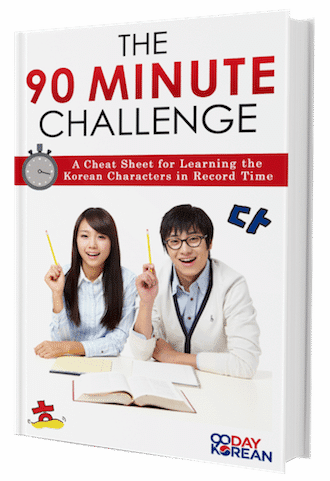 90 Day Korean: Download the 90 Minute Challenge guide for free and learn the Korean alphabet in about 60 minutes. Pictures, stories, and associations make it easy to learn and hard to forget. Langintro: Basic site teaching the Korean alphabet. They cover intonation as well, with audio clips to make sure you are pronouncing hte words correctly. The National Institute of Korean Language: Lessons for learning the Korean alphabet, including example words and intonation. The irregular pronunciation example are helpful, but may be confusing for beginners. Requires plugins to be downloaded. Busy Atom’s Korean Alphabet: Video explanations for how to learn Korean, with Quizlet flash cards at the bottom to help you practice. Korean Wiki Project: Wikipedia-style page showing how to learn Hangul in detail. Also explains why Romanization of Korean doesn’t work. Naver Dictionary: Korean dictionary which can be used to look up Korean words in a wide variety of languages. Has lots of example sentences showing the real usage of the word. 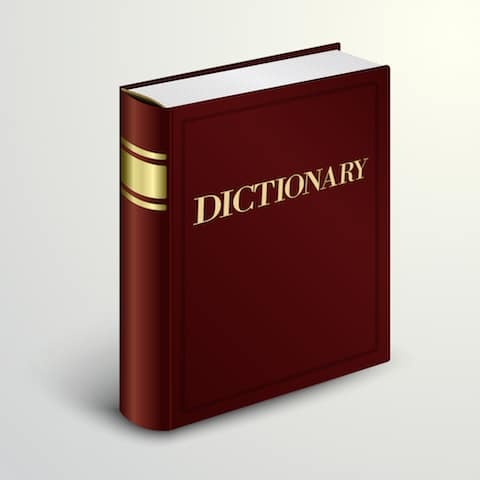 Daum Dictionary: Another Korean dictionary with translations in multiple languages and real-life sample sentences. Korean Grammar Dictionary: Lists grammar in alphabetical order with a short explanation and plenty of usage examples for each piece of grammar. Useful if you want to find the meaning of a piece of Korean grammar, especially at an intermediate level or above. ZKorean: Contains easy to use guides on simple grammar and teaches the exceptions to standard pronunciation rules. Includes vocabulary lists including Korea specific vocabulary lists like Taekwondo and Calligraphy. 101 Langauges: A general resource site for Korean with free language tools to help with Korean studies. Naver Papago Translator: While online translators are generally not recommended for Korean, Papago was made specifically for the Korean language. It breaks down all of the vocabulary in the phrase and its meaning. So if you absolutely have to use an online translator, this is one of the better ones. Naver Pronunciation: Search for a Korean word, then click on the button that looks like a speaker. Listen and repeat for pronunciation practice. Indiana University: Good for practicing the sounds of the characters. Click on the pictures to hear how the characters sound in a word. Korean Phrases You Can’t Live Without: Key phrases from 90 day Korean. Includes basic phrases and useful phrases for certain situations like going to the bank or the dry cleaner’s or talking to your landlord. Matthew’s Korean Study and Reference Guide:Phrases listed by category and combined with vocabulary for that category. Includes some less common topics like Korean history and nursery rhymes. KBS World: Has 29 situations including renting a car and finding a lost item. Phrases have an audio track so you can listen to their pronunciation. Available for speakers of other languages such as Arabic, Spanish, and Russian. 90 Day Korean: Website aimed at teaching Korean in the most efficient way possible so that learners can reach a decent standard of Korean in a short space of time. Learning is done in Hangeul rather than romanized Korean to help pronunciation. Talk To Me In Korean: Korean mainly taught through audio lessons with PDFs. Grammar points are explained and many examples are given. Also includes some video lessons which are a bit more whimsical. Includes intermediate and some advanced lessons. TTMIK also run several of the language exchanges on meetup.com and are very approachable people. Sogang University Online Program: Lessons heavily focused on dialogues. There are a large number of lessons on here. The quality of the lessons is higher for the beginner levels than the other levels. Seoul National University Online Program: The twenty lessons on here are very clear to use and there are lots of activities to check your progress. Only goes up to a high beginner level but the clarity provided makes self-learning possible. 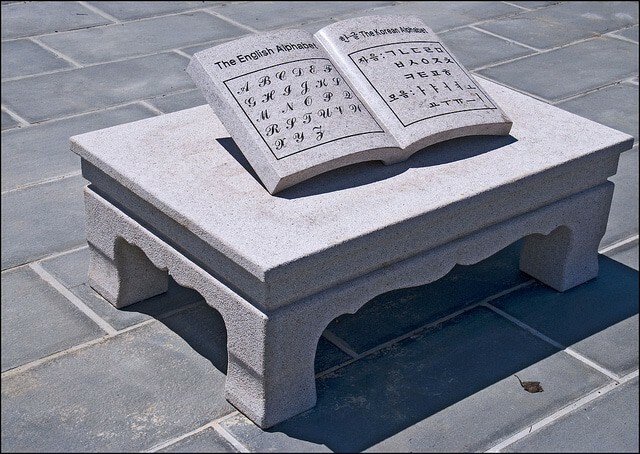 Korean Wiki Project: A site aimed at being an encyclopedia of the Korean Language. Currently it still has a long way to go before it reaches that goal, but it is useful for finding out information that a textbook might not provide such as details on local dialects, Hanja, or problematic pieces of grammar. How To Study Korean: This site has over a hundred lessons including lessons on Hanja. It is focused on explaining grammar rather than teaching dialogues, but the explanations are very good and very easy to read (unlike many Korean grammar books) so if you don’t understand some grammar, this site would probably be able to help you. University of California, Berkeley: This course only covers intermediate level Korean. It uses dialogues and grammar explanations, but the exercises are quite cumbersome. LP’s Korean Language Learning: Explains beginner and intermediate level grammar. Easy to find the particular piece of grammar that you don’t understand and the explanations are easy to follow. Seemile Korean: Has a group of short videos each about two minutes long and containing one or two phrases. Also contains a short video series (about two hours long in total) that explains how to read Korean. BusyAtom: Twenty videos teaching the basics of the Korean language (each video is about 40-45 minutes long) based on the Integrated Korean textbooks. The video lectures use a virtual blackboard to help explain grammar. italki: This website allows you to find an online language teacher for any language. It also has online language exchanges but is focused on helping students find an online teacher. The teachers set their own price and explain their own style so that you can find somebody who matches your learning style and budget. Yonsei University Korean: Covers reading, writing, speaking, and listening, and has a workbook that goes with it. The lessons are in polite Korean and it is designed for students in a class so might be a little bit difficult to use without help. Sogang University Korean: Like the Yonsei book, this is designed to be used in a classroom and has an accompanying workbook (and grammar book). Very colourful and the activities inside involve user participation rather than just passively reading. Is focused on speaking and doesn’t contain a writing section. Written in Korean as it is aimed at students of Sogang Language school. Gangada Language Institute: Has detailed grammar explanations in English and is relatively easy to use for self-study. Korean Made Simple: Written in English with lengthy explanations about Korean language and culture. 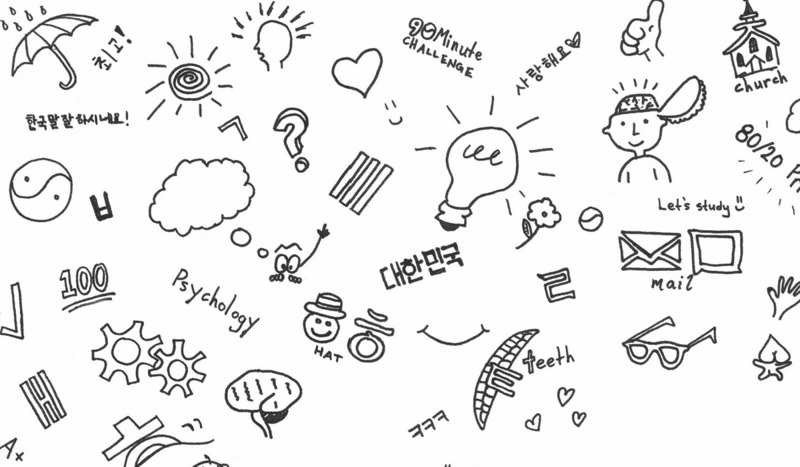 Korean Made Easy: Written by one of Sogang University’s teachers. This series of books has detailed English explanations about when certain words should be used. The series has books targeted at certain types of students, from phrase books to vocabulary and common expressions books. Monash University: Free to download from their website. For a beginner book, the words that it asks students to learn includes many uncommon words. Many of the activities require a partner. Basic Korean: A Grammar and Workbook: Focuses on grammar explanations and how things like word order are different in Korean and English, but doesn’t include dialogue. 2000 Essential Korean Words for Beginners: This book contains the most common Korean words with usage examples. It is useful for learning words that are frequent in Korean but not frequent in other languages such as English. Also available is ‘6000 Korean words’ but that book lacks usage examples. Anki: A downloadable program that allows you to create your own flashcards and test yourself. Creating the cards is quite a slow process but you can make them really detailed and personal. Quizlet:Create your own mini-quizzes to help you remember vocabulary. Sound and pictures can also be added. Surusu: Similar to Anki, but online rather than as a download. Looks very basic but allows you to make cards in the same way as Anki. Memrise: Contains lots of vocabulary lists from most Korean textbooks and courses. You can also make your own vocabulary lists. Works well on a smartphone so is useful for studying while commuting. Lang-8: Using this website allows you to get corrections from a native speaker. In return, you make corrections to a piece of writing from your native language. The corrections come relatively quickly after you submit a piece of writing. 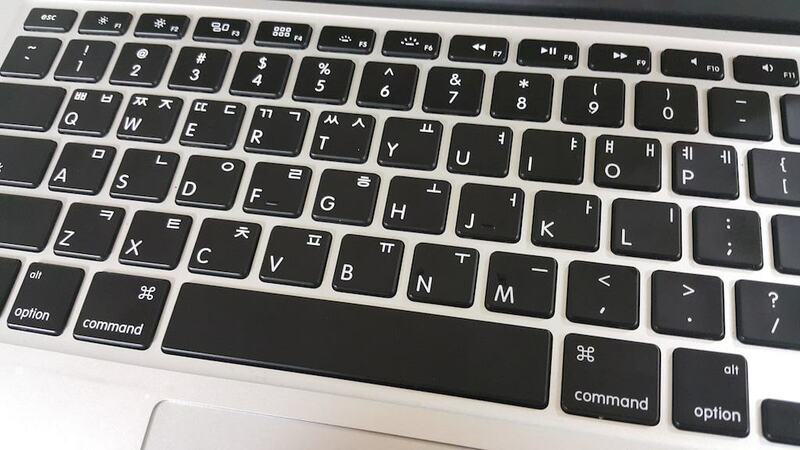 The Art of Korean Typing: Simple 5-step explanation for learning to type in Hangul on your computer. Includes associations and stories to help you remember. HanCinema: HanCinema is an independent Korean Movie and Drama Database, discover the South Korean cinema and TV drama diversity, browse through movies, dramas, directors, actors and actresses, film companies, updated news, find Korean film and drama related info and links. Daehan Drama: The only UK website dedicated to Korean dramas and their actors. Catering to the local audience, it covers UK-relevant news, events, offers and discussions. It is also the voice of the London Korean Drama Club for its upcoming events and initiatives. Naver TV Cast: Watch Korean dramas streaming to your computer or smartphone. Shows shows can also be purchased for download. While a bit confusing to navigate, it’s one of the best sources for Korean dramas if you live in Korea. Try searching for “TV 프로그램” or “웹드라마” in the menu bar. Some even have Korean subtitles! Dramafever: Popular site for watching Korean dramas through their website and smartphone app. Currently available in North & South America, the UK, Australia, UAE, Saudi Arabia, and Turkey. SoompiTV: You can watch Korean dramas legally from this site with English subtitles. Only available in the USA and Canada. Has a large catalogue of shows and dramas. Viki: Features dramas, TV shows and movies from all over the world that can be watched on your computer or smartphone through an application. Hulu: Korean dramas, available depending on where you are located. DramaBeans: Detailed analysis and discussion about Korean dramas in English. Zumvo: Has some new Korean movies but also contains many pop-ups. Clicking with the right-hand mouse button then opening the movie in a new tab helps avoid some of these pop-ups. Cineast: This website has lots of content. It has some English movies with Korean subtitles and some Korean movies. Look in the section called ‘자유실’ to find some movies to watch. KBS: Has information about all the upcoming KBS shows and TV schedules. Clicking on the ‘on air’ button allows you to watch a limited selection of shows that are being broadcast at that time. MBC: Has information about MBC’s programs. You can watch and download episodes of programs here but you need to login to do so. SBS: Members can download past episodes of their favorite SBS shows. News can be watched without a membership and has an article written below each news video which could be useful for learning new words from the broadcast. EBS: These educational channels can be watched live for free. They are aimed at Koreans but some programs may be of interest. Allkpop: Website with Kpop news and forums in English. Seoul FM: Listen to Korean music online. More recent songs have readable lyrics. Big B Radio: Asian radio station with a Kpop specific channel. Exo-Love: EXO-Love is an fan site dedicated to bringing you the latest updates, news, music, videos, interviews, and more from SM Entertainment’s latest boy group EXO. Kpoplyrics in English: Search for your favorite K-pop songs, and get the lyrics in both Romanized Korean and English. Gasazip Lyrics in Hangul: Korean site for finding lyrics to your favorite Korean songs in Hangul. If you can’t find the song by searching in English, try using Hangul. CIX Lyrics in Hangul: Search for your favorite songs and get the lyrics in Hangul. Similar to Gasazip. United Kpop: United Kpop is the go-to source for K-pop news and events in the UK. They also organize their own events to help spread the word about K-pop around the world. Chosun Ilbo: Has news in Korean and an English site that is updated several times a day. Donga Ilbo: Has news in Korean and an English site. Joongang Ilbo: Has news in Korean. 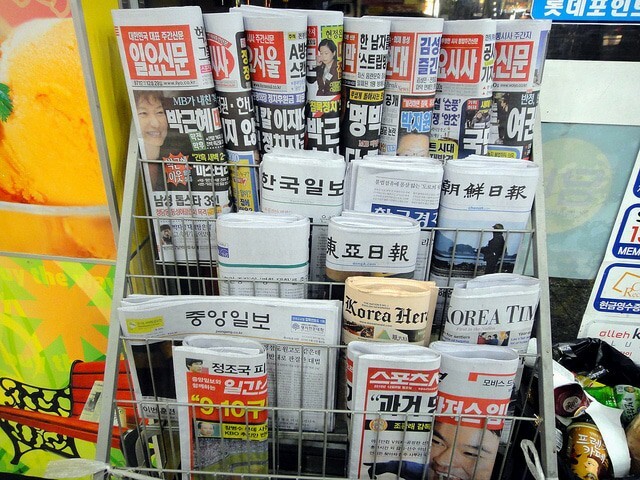 Includes a bilingual column that could be useful for studying the news in Korean. Hankook Media Network: Has news in Korean only. Meetup.com: There are several language exchanges in Seoul that can be found on meetup, and it should be possible to find one that fits your schedule. Languagecast is one of the groups that runs regular language exchanges in Seoul. It is also possible to find language exchanges in other cities but it is good to check with the organiser to see if there are many Korean speakers in attendance. Seattle Japanese, Korean, English Language Exchange: A social gathering where you can learn any of these languages through exchange with native speakers in a relaxed environment. Everyone is welcome, and they invite you to come meet new people and make new friends! Hanlingo: A language-food exchange where somebody teaches you Korean in exchange for some food (or coffee or beer). You can also find people to teach other languages to in exchange for these things. Users post their availability and city to help you find a good match. PenPalKorea: You can use this to find a penpal to write to. Unlike many other sites, this is free to use. Users are looking for a penpal, not necessarily a language exchange so make sure to specify what you are looking for in your profile. Hi!PenPal! : Another free to use penpal service. Not used too frequently. Mylanguageexchange: This language exchange is free to use but you need to pay to become a premium member in order to start a conversation. However, it is used relatively frequently. TOPIK (Test Of Proficiency In Korean): The official website for the TOPIK test. Use this site to find out the TOPIK schedule, register for a test, and find out your results. The site has an English, Japanese, and Chinese language version but to register for the test, you need to be able to read Korean quite well for some parts of the application process so if you want to try and take the level one test, you might need a Korean to help you register. Exam tests get booked up very quickly so keep your eye on the registration dates. Also includes old test papers for downloading. TOPIK Guide: A complete (and up-to-date) guide about the TOPIK test taking process including many old and mock test papers and answers that can be downloaded. The website also includes vocabulary and idiom lists as well as tips about how to study for the test. Naldaramjui: This website has questions from test 22 on it. Be aware that the TOPIK format has changed since then. The writer has a YouTube channel (linked on this site) which explains some Korean idioms. Naver: The most popular search engine used by Koreans. Daum: Another popular search engine in Korea, similar to Naver. Nate: Another Korean search engine, although less popular than Naver or Daum. Social Integration: Also known as 사회통합 프로그램, this is a government program people use to get residency in Korea by studying Korean. Study In Korea: This website has information about how to study in Korea. It is especially useful for people wishing to do a university degree in Korea. The website includes information about government scholarships, and shows when each university’s application periods are open. It also contains recent news related to studying in Korea. Seoul Metropolitan Government: As well as information for foreigners living in Seoul, this website provides links to places where free Korean lessons are on offer (such as Seoul Global Centre). The Soul of Seoul: Hallie Bradley writes on her travels in Korea, daily life, the culture and traditions as well as on lessons learned from her Korean husband and in-laws. What was once only going to be a year abroad, has turned into seven and likely many more. The Pink Fashion Ninja: A Kpop and Korean fashion blog run by blogger and YouTuber Pink Fashion Ninja (April.) It also followers her life in Korea with tips on attending various fashion and Kpop events. A must read blog for Korean Fashion lovers! Red Dragon Diaries: Tom is a former IT professional turned ESL teacher in Korea. He shares his experiences on his blog and associated YouTube channel. He’s a teacher, blogger, and judo vagabond. MySeoulSearching: Seoul Searching has been recognized as Korea’s leading English travel blog and is packed with valuable tips and tidbits about Seoul’s quirkiest theme cafes, tastiest restaurants and off-the-beaten path destinations. Expat Kerri: This expat has lived in Korea for 4 years and makes videos about learning Korean and life as a foreigner in Korea. KLeagueFootball.com: The go-to source for information related to the Korean football league. DreamWorks Recruiting Service: A family-run recruiting company, DreamWorks treat candidates like family. They’ll help you find the best position possible, and also make sure your experience in Korea is a memorable one with no regrets. Be sure to speak with placement consultant Joanne, who has over 10 years experience teaching in Korea and is a native English speaker. Footprints Recruiting: A highly popular choice for job seekers, Footprints is always innovating to help teachers find work in a faster, more effective way. Contact them and they will do their best to find you the best Korean English teaching job available to you. ESLstarter: Contact ESLstarter and you can expect an experienced team of advisers that will provide as much information as possible, ensuring you know everything you need to know before your departure. Not only will they help you secure your dream job, but they’ll help guide you through the visa process, assist with travel arrangements and provide a comprehensive aftercare service once you arrive in Korea. KorjobCanada: An agency that was started by a group who lived in Korea themselves for a number of years, KorjobCanada fills inherent need for a North American-based intermediary between job seekers and schools in Korea. Contact them to schedule a free consultation regarding jobs in Korea. Say Kimchi Recruiting: Say Kimchi provides only quality teaching jobs, and closely vets applicants to always ensure quality jobs are filled by quality teachers. After signing your contract, they’ll help you along the way with their amazing team that works from Korea to make your stay more comfortable. We Teach Korea: A popular website for finding reliable ESL teaching jobs in South Korea designed for teachers by teachers. New teaching jobs are posted daily as well as blog posts on living and teaching English in South Korea written by experienced teachers and passionate locals. Freelanguage.org: a free online language learning magazine. Learn Thai From a White Guy: Learn to read Thai in only two weeks using Brett’s fun and easy online course. Go from zero to fluency using this time-tested method.